But this year...2014....things are changing. I'm flipping my entire world upside down. 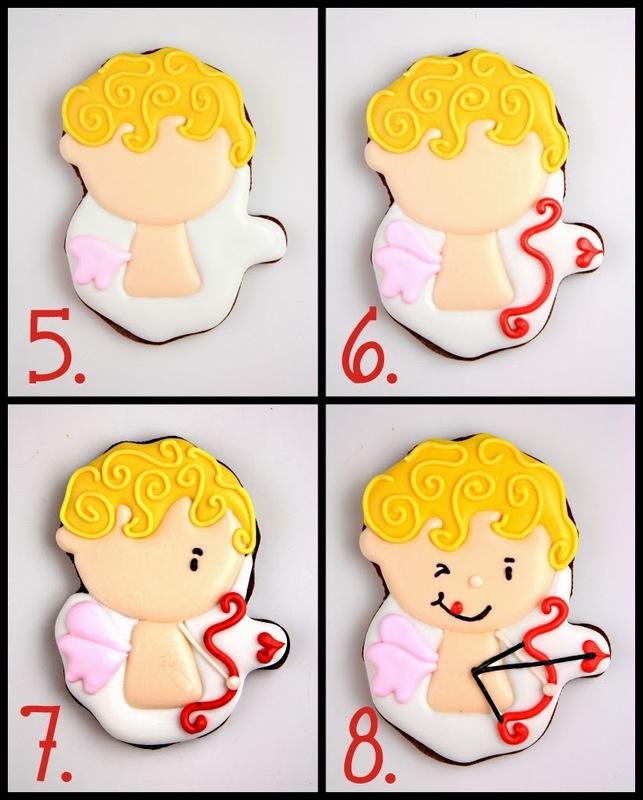 I made a person cookie. On purpose. And not just any person cookie. 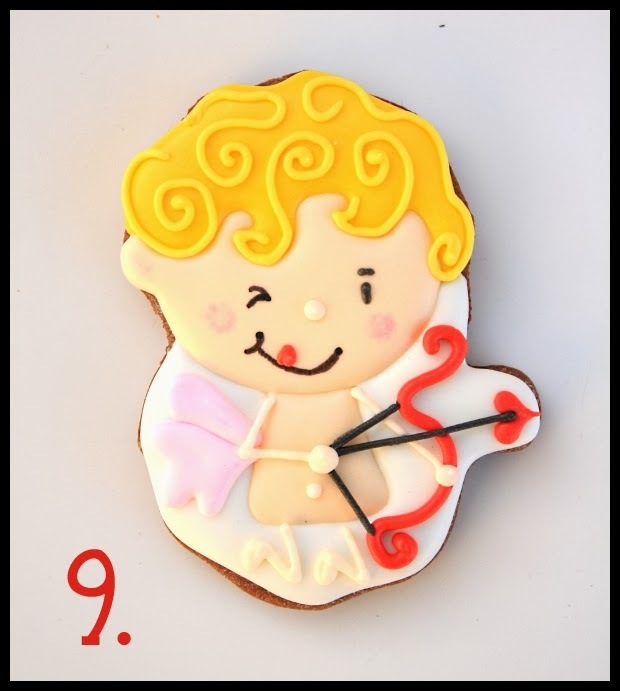 A CUPID person cookie. 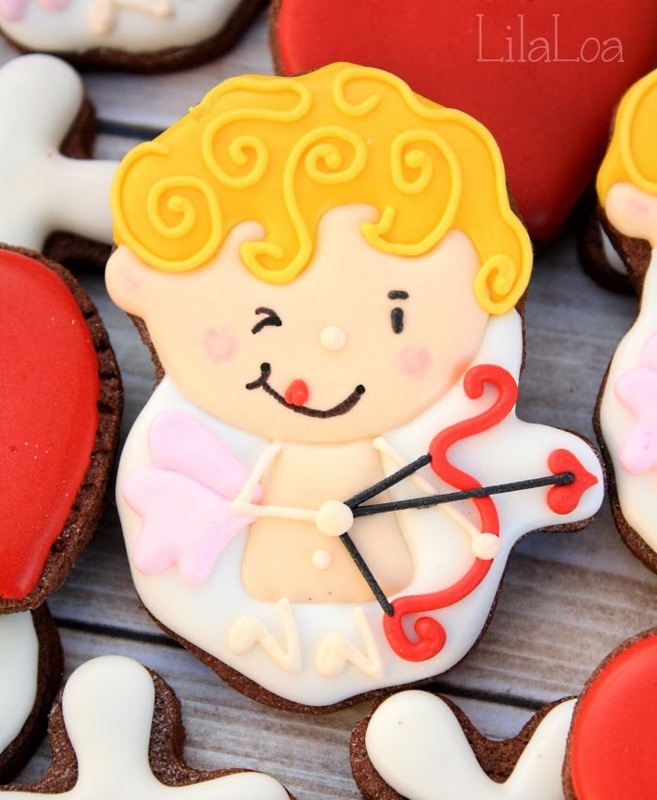 I literally threw out the very first cupid cutter I ever owned, because I was so certain I would never ever use it in any universe, parallel or otherwise. 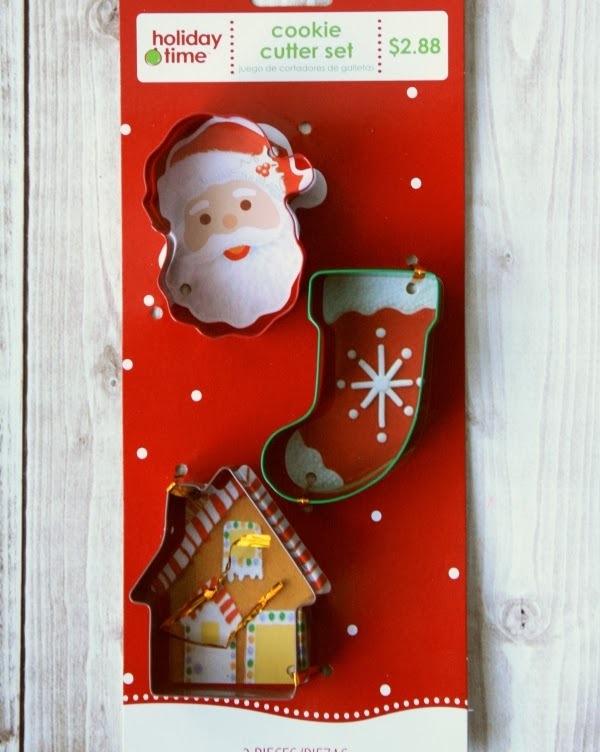 As it turns out, I was kind of right, because I actually used a Santa Claus cutter for this guy. Just flip it upside down after cutting out. 1. 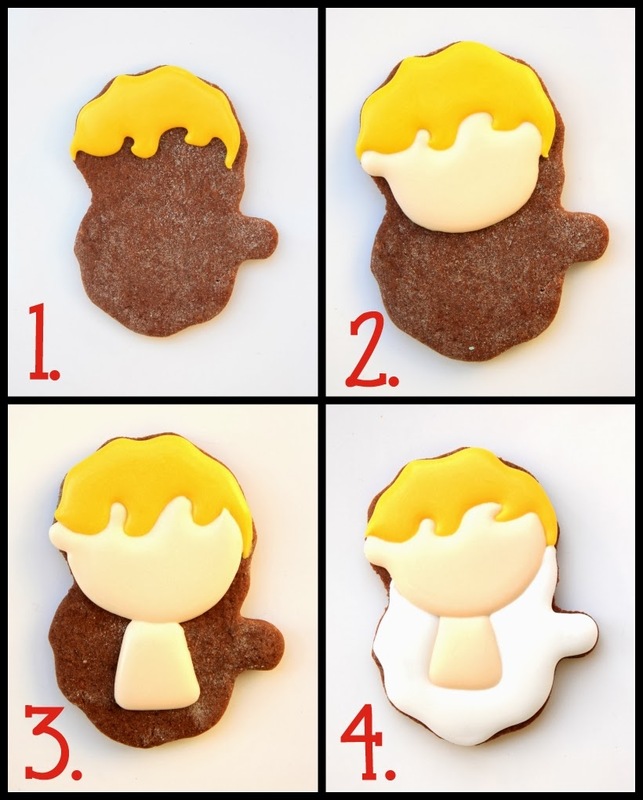 Use 15 second yellow icing and a #2 tip and make some crazy hair for this little guy. Let dry for 20 minutes. 2. Pipe an ear and a face with 15 second skin tone icing. Let that dry for about 10 minutes. 3. Then add the torso. I promise -- this gets less weird soon. 4. 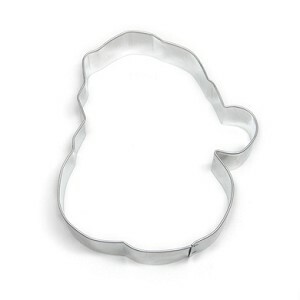 Fill in the rest of the cookies with white icing. Let the cookie dry for at least an hour or two. Overnight would be good. 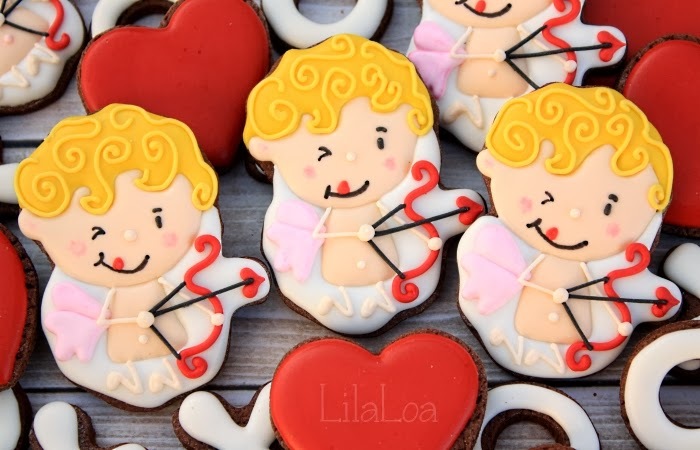 If you make these on vanilla cookies you might be able to skip this step. Let me know if it works out for you. 5. Add some hair details with a #1.5 tip and stiff yellow icing. 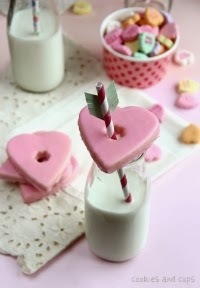 Use pink 15 second icing to make a wing. Give it 5 minutes to set up. 6. Add another wing behind the first one. Pipe a squiggly line that vaguely resembles a bow with red icing and a #2 tip. And then pipe a heart pointing out. 7. Pipe an arm and a hand with thick skin colored icing and a #1.5 tip. Add a tiny eye and eyebrow. Okay... maybe it doesn't get less weird. 8. Use a food color marker to add the other eye and a mouth line. Pipe a little dot for the nose. Use your red icing to pipe a little tongue sticking out. Pipe the bow string and arrow shaft with thick black icing and a #1.5 tip. 9. Pipe the other arm and both legs with the thick skin colored icing. Also, you could give him a bellybutton if you want to. Add some rosy little cheeks with watered down food coloring or luster dust and this little guy is ready to go! The cutter I used was only available at Walmart over Christmas. But I think you could use THIS ONE just as well. 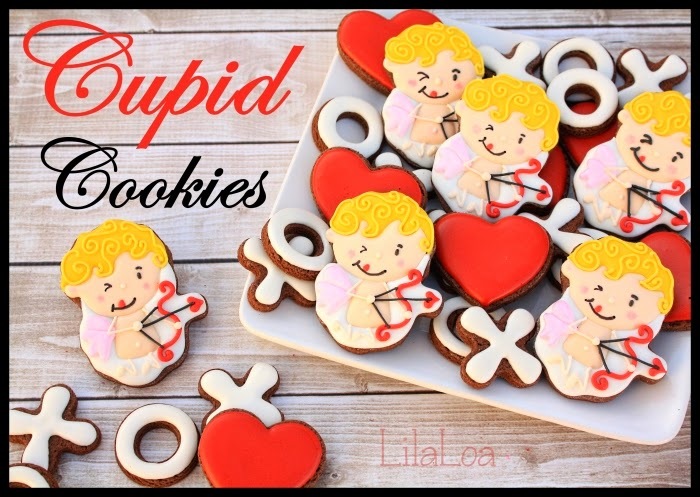 Simple and delicious... Cupid Arrow Milk Toppers from Cookies and Cups. 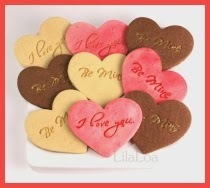 Make your hearts say anything you want when you make your OWN impression mat HERE.